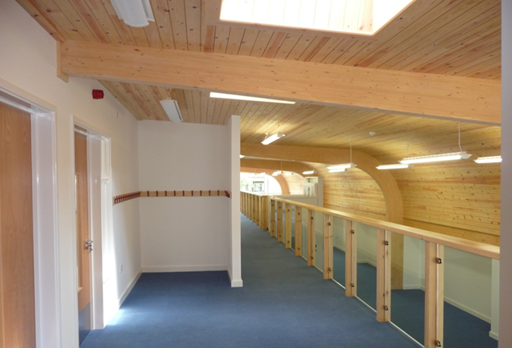 Construct 4 new classrooms, library and balcony with platform lift for disabled access. Demolition of existing buildings and construction of 4 new classrooms and library facility with Glulam beam structure. Under floor heating throughout. Disabled lift. 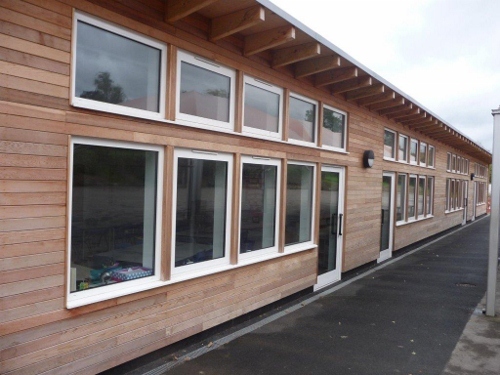 Hardwood timber cladding and extensive external works. Natural ventilation linked to high level openings and air soure heat pumps. Interior fit-out, M & E works and decoration. 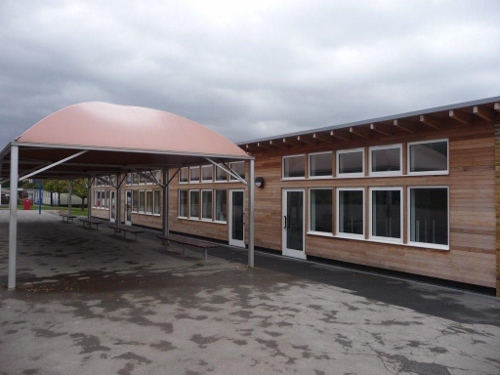 All works carried out within a restricted internal courtyard space within a live school environment. "Nothing is too much trouble for MP Building; they are definitely a 'can do' contractor. I've worked with MP Building on numerous projects which have been difficult, innovative and challenging in regards to design, site constraints and budget. All the projects have been successful and a tribute to MP Building's effort, flexibility and client focus. I would recommend them without reserve."